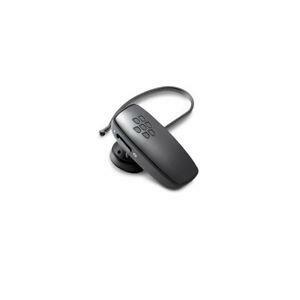 Stay focused on everything you want to get done with the BlackBerry® Wireless Headset HS-300. Life gets easier from the moment you turn it on. Voice prompts keep you in the loop, it adjusts the volume for you, and a quick charge is all it takes to keep you multitasking throughout the day. Voice prompts: Once you're connected, voice prompts alert you with battery status updates, mute status and more. So you always know what's going on. Automatic volume control: Walk into a noisy environment, and your headset adjusts the volume almost instantly, so you can concentrate on your call. Rapid charging: With just 15 minutes of charging, the headset gives you up to 2 hours of talk time. So whatever you're doing, you've got a headset that's good to go. Designed for you: The headset is small, simple to use and affordable - which makes it convenient for everything you do each day. All other Bluetooth enabled phones and devices. Can this headset be paired with more than one phone, or paired with phone(s) and a laptop computer at the same time? Hi Im pretty sure you can do but it does not make it very clear in the manual. Sorry I cant be of more help.